Phantasy Star has been Sega's signature RPG series and a favorite of fans for 19 years. Of those games, 2000's Phantasy Star Online saw particularly enormous popularity as the first network RPG for home consoles, and received the top prize from the 5th annual Japan Entertainment Software Awards. Over the past five years, PSO has been brought to various consoles and today is still enjoyed by countless users. Now, combining the story elements of Phantasy Star and five years of network-RPG experience with Phantasy Star Online, the fully-loaded, all-new Action RPG Phantasy Star Universe is born! 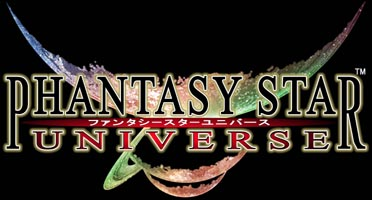 Phantasy Star Universe contains both a "Story Mode" for the single player and an online "Network Mode" for multiple players. Online battles take place in real-time as players collaboratively fight together. In the players' room, each player can create items, and create and customize their own Partner Machinery which is a robot that holds items retrieved in the field, and more. This page last modified 2008-05-09 04:56:08.